These were the longest and most difficult-to-understand poems on the list, which is why I started with them. I read poems like these mainly to expose the girls to the language. I don't necessarily expect them to comprehend the meaning at all. Miss Muffet really responded to these "small poems" and their corresponding illustrations. My favorite was "duck" but she seemed most fond of "coins." I like this collection because the poems are very short, but they are not dumbed down in any way for kids. 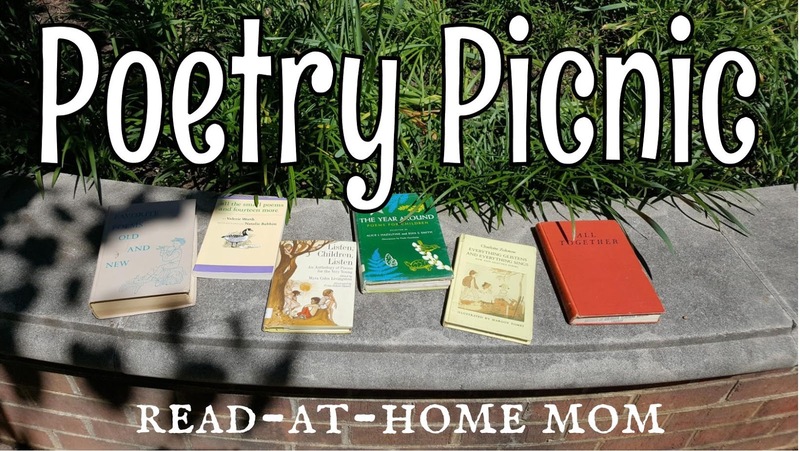 When we someday begin to study and analyze poetry, these would be good ones to start with. Miss Muffet liked "Blum" because she is in a phase where she likes to make up words. She also liked "Numbers", which I chose because I have started doing very basic math with her using Cuisenaire rods. The other poems didn't seem to make any particular impression, though Miss Muffet did seem to think the suggestion in "The Sun" that we tell the sun we are happy was pretty amusing. These poems are a little too pensive for little kids, but since they are short, I read them for the language. "Ladybug" was probably the girls' favorite. Most of these poems were chosen based on recent discussions I had with Miss Muffet. We've been talking about wanting a bigger house, but trying to enjoy the littleness of our current small one. The pool had just opened, so we were preparing to swim, and Miss Muffet likes to ask about the materials from which things are made so "What Do We Plant?" seemed a natural choice. I chose "At the Garden Gate" because I liked the rhythm, and "Old Log House" because it was about the "old days" which Miss Muffet seems increasingly interested in hearing about. These poems all came from the June section of the book. I hope to keep using this book each month to introduce themes related to the current season and upcoming holidays. 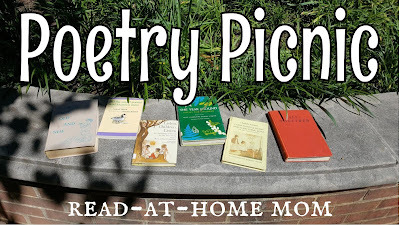 This is the most preschool-friendly collection of poetry we have, so I try to include a few poems from it at each picnic. This one had two about having a bad day, as we'd had struggled through the morning. I chose "Everybody Says" because it mentions "Aunt Bee" which is what Miss Muffet sometimes calls my sister. "We Know a House" was a random choice to complement the house-themed poems from Favorite Poems Old and New above.